Norwich is to become the second area to get local TV on Freeview channel 8, when Mustard TV launches next month. The station has today confirmed that it will commence broadcasting on Monday, 24th March. Mustard's main hours of service will be from 5:30 pm to 10:30 pm and will comprise regular news updates, sport, weather, a weekday evening magazine show and local lifestyle documentaries. 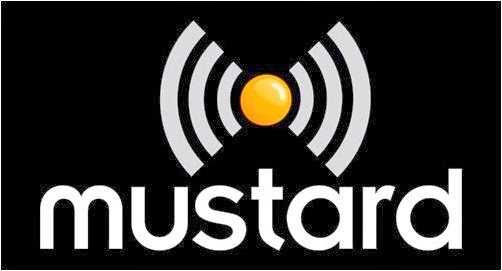 Mustard TV is part of publishing giant Archant’s new broadcasting division, which was awarded a local TV licence in September 2012. In addition to its station on Freeview, Mustard Online promises to bring local residents the latest local video news and features about Norfolk and Norwich; its people, places and communities. Mustard TV will broadcast from the Tacolneston transmitter, south of Norwich and will also most towns and villages surrounding Norwich. The service will be carried on the new Freeview local TV multiplex, which is being rolled out by Comux on behalf of local TV licence holders across the UK. The channel hasn't begun testing in the area yet, but once it does - expected 17th March 2014 - viewers will need to retune their Freeview device to get the channel. The channel will not be available on satellite or cable platforms (Sky, Freesat, Virgin) at launch, but it's expected to launch on Virgin in the future. Grimsby and surrounding North Lincolnshire and East Yorkshire was the first part of the UK to get local TV on Freeview in November 2013. Local TV will roll-out in London a week after Mustard's Norwich launch.